Make-A-Wish Ireland is a children’s charity with one simple aim – to grant the wishes of children aged between 3 and 17 living with a life-threatening condition. A donation could give a child a much needed break from hospital visits and treatments and in its place a magical experience they will remember forever. 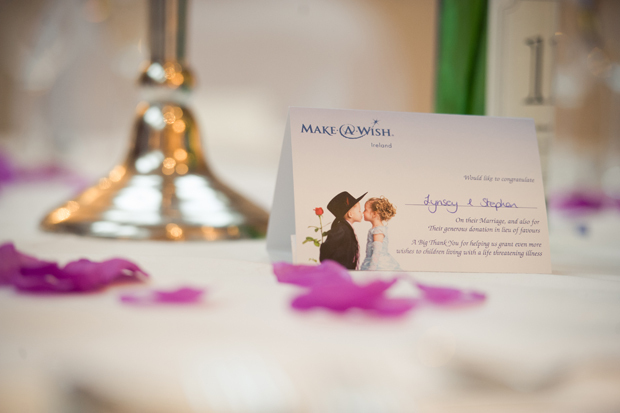 If you choose to donate to Make-A-Wish Ireland for your wedding favours, they can provide favour cards for each table to let guests know that you’ve donated to this wonderful cause. 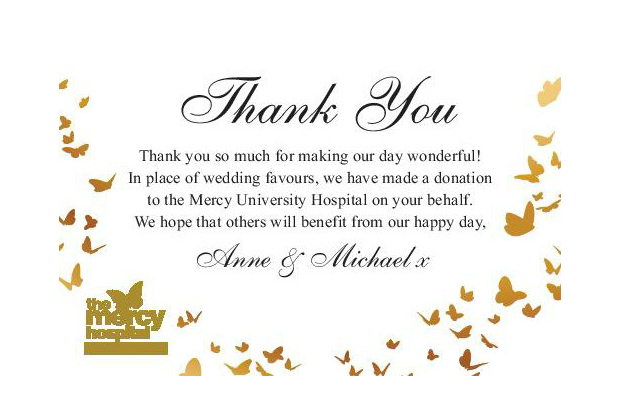 Mercy University Hospital Foundation is a non-profit Charity from Cork and a donation will allow others to benefit from your happy day. They have several amazing appeals you can support if there is a cause close to your heart such as their Cancer Appeal, Kids & Teens Appeal, or their Stroke Appeal. 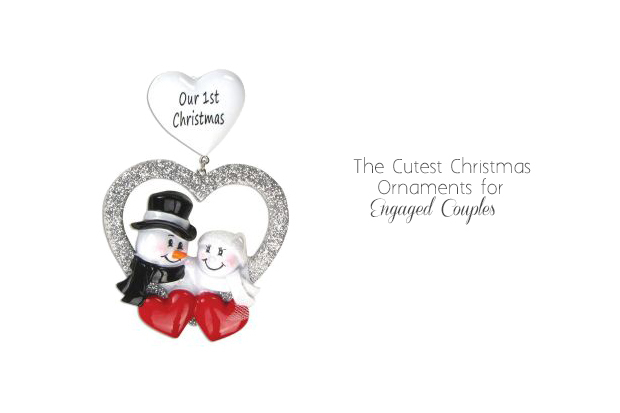 Your Mercy Wedding Favours table cards can be created to your personalised to your requirements from colour to font style and can include a personal message from you. The ISPCA are Ireland’s leading animal welfare charity and work to prevent cruelty to animals, promote animal welfare and proactively relieve animal suffering. 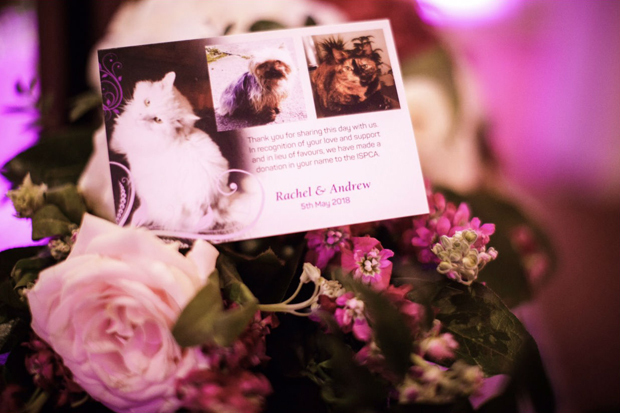 Animal lovers might like like to donate to this brilliant charity in lieu of favours and will receive cards that can be displayed around the venue letting guests know about the thoughtful gesture. You can choose the size, quantity and images to be displayed such as a cute ISPCA puppy or pony or you can provide a photo of your own pets!